A quaint but stylish cottage, fully furnished and comfortable. Enjoy daily walks on beautiful Cheltenham Beach, just down the road. Twenty minute walk to delightful Devonport village as well as ferries to downtown Auckland and the Hauraki Gulf islands. Close to picturesque North Head with it's spectacular 360 degree views of Auckland city, the Waitemata Harbour and the Gulf. Wonderful walking or jogging tracks, local cafes and shops nearby - bliss! Very nice house with a great range of aminities, and well located in Devonport. 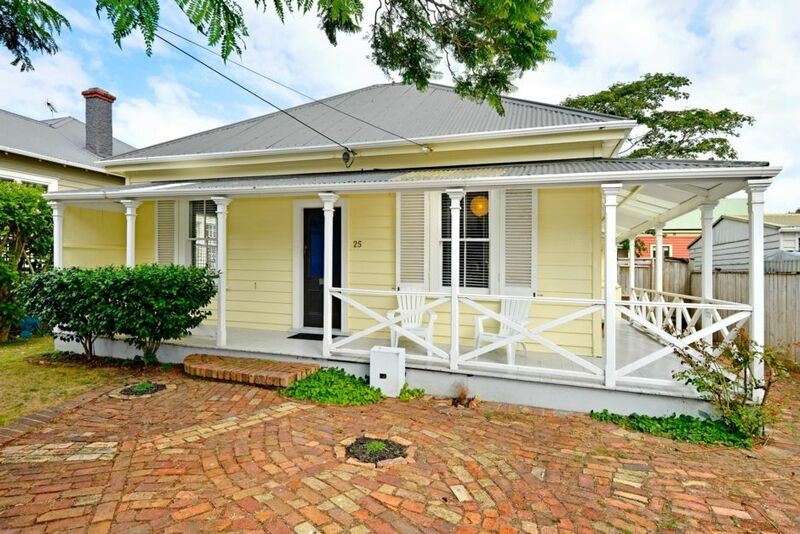 Very nice house with a great range of aminities, and well located in Devonport. The only negative point is getting the house warmed up in the winter. Once you get the hang of it, it's very confortable. We loved this cottage in Devonport that is full of character and charm.